Along the slopes that gently slope down to the crystal clear sea of the ancient Greek colony of Selinunte, for centuries cultivated with olive trees, stands the organic farm "Houses of Stone Quarries." The family Centonze, owner of the estate since 1953, has always been reserved for the cultivation of a place of absolute importance, focusing immediately on organic farming. The company is set within an area of ​​great historical interest and scenic and covers an area of ​​about 35 acres completely fenced. And 'exclusively cultivated with citrus and olive groves organically. 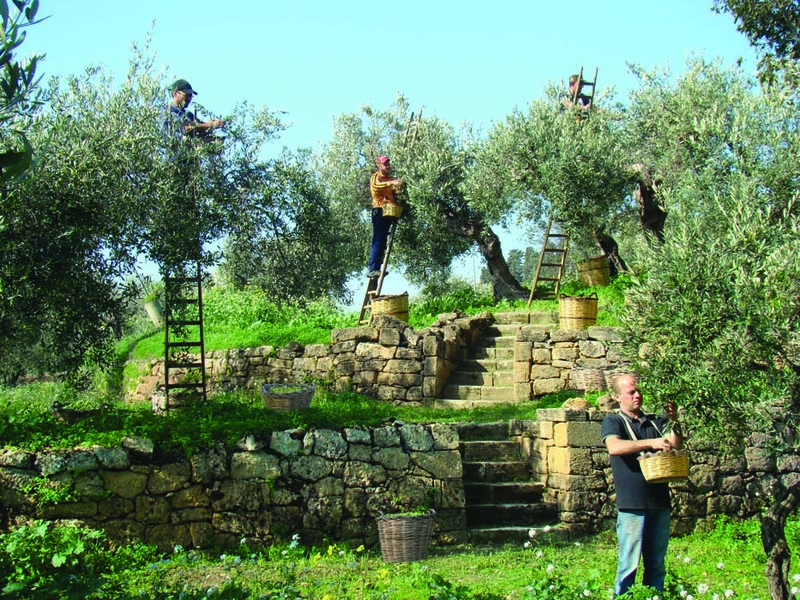 An enchanting scenario of ancient olive trees and lush citrus groves lies between the age-old "Latomies" (cave where selinuntini withdrew large blocks of tufa for the construction of their city; still visible traces 2600 years ago) and the old "hutches "(ancient walls of dry stone fence) in a maze of country roads where typical power walk for a long time.